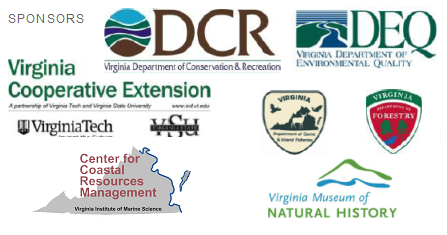 Virginia Master Naturalists are trained and certified volunteer educators, citizen scientists, and stewards helping to conserve and manage natural resources and public lands in Virginia. Check out this wonderful video on what it means to be a VMN volunteer from Sonny Bowers (Historic Rivers Chapter). engage in a wide range of citizen science activities that contribute to greater knowledge of local streams, plants, animals, and local habitat. The 2019 City Nature Challenge is Almost Here! Anyone can participate. Click HERE to sign up for one or more of the events! With its distinct red feathers, or plumage, its deep orange beak, and a crest that resembles a well-groomed mohawk, the presence of the Northern Cardinal (Cardinalis cardinalis) in Northern Virginia is unmistakable. The Northern Cardinal is Virginia’s state bird. I tagged along with part-time Arlington County Park Naturalist Yolanda Villacampa on Sunday, March 24, 2019 at Long Branch Nature Center to learn more about this bird as a part of her Virginia State Symbols program series. Adult Male Northern Cardinal, Outside Long Branch Nature Center. While the Northern Cardinal is the state bird of Virginia, it is also the state bird of six other states: Illinois, Indiana, Kentucky, North Carolina, Ohio, and West Virginia. When you see a bright-red cardinal with a black patch at the base of the beak (or bill), you’re looking at an adult male Northern Cardinal. Adult female Northern Cardinals are tan but share characteristics of the male: the pronounced crest, the short but big orange bill, and some red feathers. Juvenile Northern Cardinals (both male and female) look like the females but with a grey beak. The bird’s diet is primarily seeds and berries, but it is also known to snack on insects. The bird has several calls, they are easy to identify when the male and female call back in forth in the same song. We also learned how to use a field guide to identify other birds that we were likely to encounter on the trail and received a quick tutorial on how to focus our binoculars and, quietly, alert others in the group to the location of a bird. During our walk, we heard several Northern Cardinal duets and observed one male Northern Cardinal. We also saw and identified three White-breasted Nuthatches (Sitta carolinensis) and two Downy Woodpeckers (Dryobates pubescens). One White-breasted Nuthatch was defending its territory on a tree from a nearby squirrel by extending its wings and swaying back and forth. Glencarlyn Park, Convergence of Four Mile Run Stream and Long Branch Creek. Join Yolanda on her next Virginia Symbols program! Website and Additional Information: During this program, we will learn about the Virginia coastal two-shelled mollusk resident. The program will include a shell activity. The program is geared towards families ages 7 and up—children must be registered separately and must be accompanied by a registered adult. Stay tuned to the Arlington County Parks and Recreation – Nature & History Program webpage to register for this program. The cost of registration will be $5/participant. Learn more about the Virginia Symbols program leader, Yolanda Villacampa, a part-time Arlington County Park Naturalist and ARMN member in the 2018 blog post, ARMN: Getting to Know Yolanda Villacampa. Whether you’re a beginner birder with a basic interest or a pro, consider joining either of the weekly bird walks at the nearby parks or with groups listed below. Make sure to check ahead before you venture out for information on where to meet, updates, weather-related cancellations, and other birding events. Happy birding! It’s Springtime . . . Plant Natives! Comments Off on It’s Springtime . 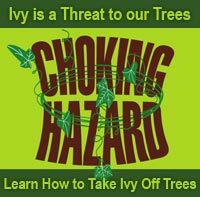 . . Plant Natives! How to make your winter more interesting, help birds, and give a second purpose to your holiday tree! Comments Off on How to make your winter more interesting, help birds, and give a second purpose to your holiday tree! See Volunteer Opportunities for ongoing events at which you can provide help.